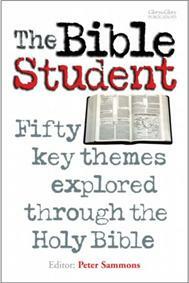 Fifty themed studies enable people of all ages to explore specific topics across the entire sweep of the Holy Bible. Unlike many other study materials, this seeks to focus on the Bible itself. It is not so much a manual of theology as a 'guide map' to help the reader explore God's revelation of Himself and His purposes in Scripture. Wherever possible, the studies follow each topic from the Old Testament into the New, giving a clear sense of God's unchanging purposes and making a clear connection with the cross, and new life in Christ. Suitable for both group and personal study. Would make an excellent baptism or confirmation gift. A good resource for ministers to use with enquirers and church members, to start topical, thematic discussions, provide background ideas for preaching and teaching, and to stimulate interest in Bible study. For churches, ministries, Bible students and individual Christians. A lovely birthday present! The Rev. Alex Jacob, author of The Case for Enlargement Theology, is a United Reformed Church Minister. The Rev. Dr David M Moore is a former university lecturer and a retired Anglican vicar. Dr Greg Stevenson is a retired cell biologist. Peter Sammons, author of The Birth of Christ and The Empty Promise of Godism, is a businessman. The Rev. Peter Byron-Davies is a theological and editorial consultant and publisher. The diversity of the contributors helps to avoid factional biases, although each writer shares a commitment to and a love of God's holy Word. The content of this book is also available to download for free from the Resources section. This book is available as an ebook for the Kindle or as a printed book using the buy buttons below.